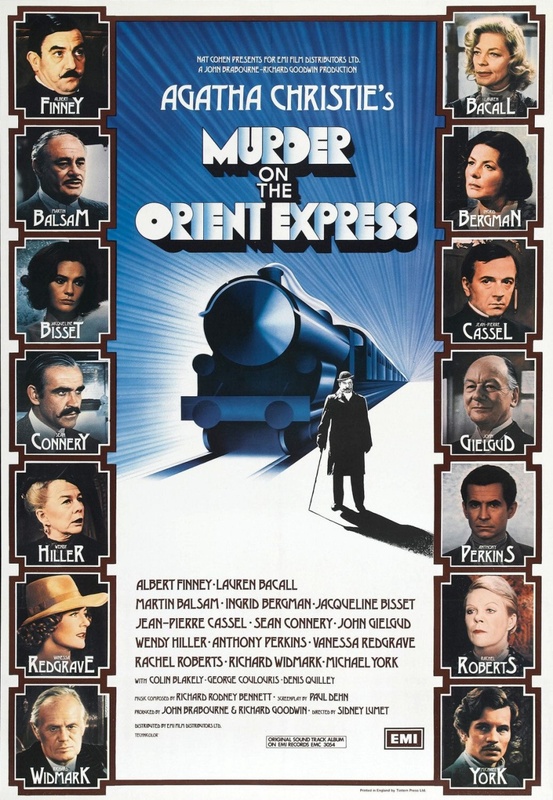 “Murder on the Orient Express” (Paramount/EMI, 1974) begins with a great, crashing cadenza from orchestra and grand piano, which resolves into the haunting main theme. The orchestration is so lush and lavish it’s actually funny: the composer, Richard Rodney Bennett, is letting you know from the first chord that he will not be kidding around. It’s an ideal opening to this superb adaptation of the famous Agatha Christie novel. 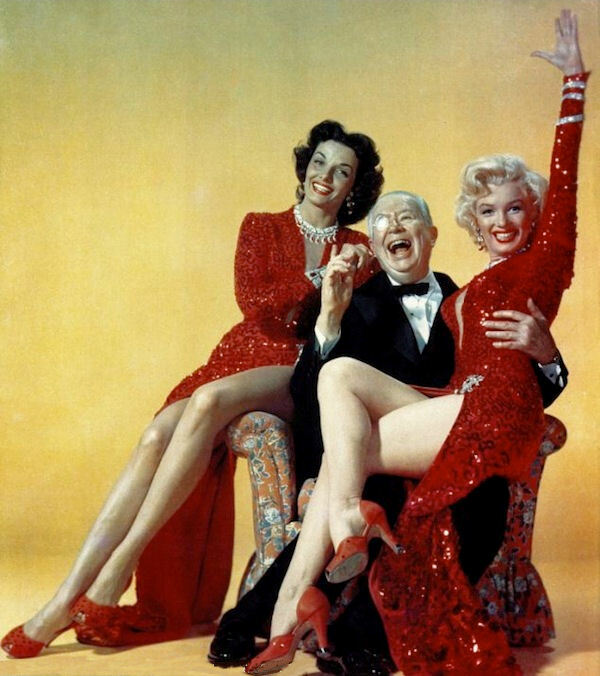 The picture is all about style, glamour and intelligent silliness; the music captures this perfectly, and sets the tone for what is to come. The score is one of the very best ever to be composed for a picture. Early in the pre-production process, a serious effort was made to hire the legendary Bernard Herrmann to write the score, but talks broke down when he could not be dissuaded from his initial assessment of the sort of music the story called for: “It is . . . a train of DEATH!” Sidney Lumet told him, no, he wanted something more elegant, sophisticated, romantic. But Herrmann remained obdurate: “It is . . . a train . . . of DEATH!” Herrmann hated Richard Rodney Bennett’s score — he may be the only one who did. The other great improvement is in the vividness of the characters. It’s tempting to believe that the all star cast is responsible for making the characters so much more interesting and eccentric than those in the novel, but this isn’t entirely true. The cast is wonderful — especially Albert Finney, whose long summation at the end is a masterclass in the art of dominating a scene. But the actors had a lot of help from the screenwriter. To put it bluntly, Paul Dehn’s dialogue is far superior to Agatha Christie’s. He kept most of her plot and very little of her dialogue. She always got the job done, but she rarely wrote memorably funny lines. Dehn’s script is full of sparkling dialogue. Here are a few examples of passages from the book followed by Dehn’s adaptations of them. The other looked at him shrewdly. “Name your figure, then,” [Ratchett] said. “If you will forgive me for being personal — I do not like your face, M. Ratchett,” he said. “I have made enough money to satisfy both my needs and my caprices” is the best line in this exchange, and it’s the only one that made it into Dehn’s screenplay. As you’ll see, the exchange is brisker and has far more personality in it. Albert Finney’s performance is brilliant, but Paul Dehn has also given him better, tighter dialogue to work with. “And what, may I ask, are you reading?” he inquired. Now here are two examples of Dehn’s dialogue that isn’t based on anything in the novel, but provides welcome and much-needed light-heartedness in a script that is essentially (and necessarily) an unbroken stream of exposition. The first is Poirot’s interview of a secretary named Miss Debenham (Vanessa Redgrave). In the novel, Miss Debenham’s only telling characteristic is her British unflappability, but Christie merely informs us of this quality; Miss Debenham’s dialogue doesn’t manifest it. Dehn solves the problem nicely and Redgrave takes it further: she makes the woman a smiling sphinx, and her response demonstrates that Miss Debenham listens carefully to what is said to her and wastes no time in supplying a maddening answer — and in as few words as possible. Mrs Hubbard, a garrulous American millionairess with a noisy opinion about everybody and everything, is played to perfection by Lauren Bacall. Bacall had a great knack for this sort of part: she had authority and style, and never bothered about being likeable. Nor did she ever lay it on too thick — a consummate pro. It’s wonderful to see her float through a crowd of crouching, chattering beggars as if they didn’t exist. This entry was posted in Main and tagged Agatha Christie, Albert Finney, Bernard Herrmann, John Gielgud, Lauren Bacall, Martin Balsam, Michael York, Murder on the Orient Express, Richard Rodney Bennett, Sean Connery, Sidney Lumet, Vanessa Redgrave, Wendy Hiller on June 23, 2013 by TR.